We are in a season of new beginnings here. A new baby, the start to a new school year, and an emptied out garden from most of our summer plants. We opted to empty out most the garden beds right before our little boy was born in order to minimize yard work in those early weeks with an infant. Plus, with how hot it gets here in Houston, we were getting very little in the way of the tomatoes, beans, squash, and cucumbers that we pulled up. So instead, we have been focusing on adding compost, feeding the soil, and will soon do a crop rotation and plant our Fall vegetables. This is a nice "slow season" of gardening as everything else is, well, a bit crazy! Dirt. There is something so wonderful about it with kids. By clearing out the actual crops in three of our four raised beds, it has given us the perfect place for free play in the soil. 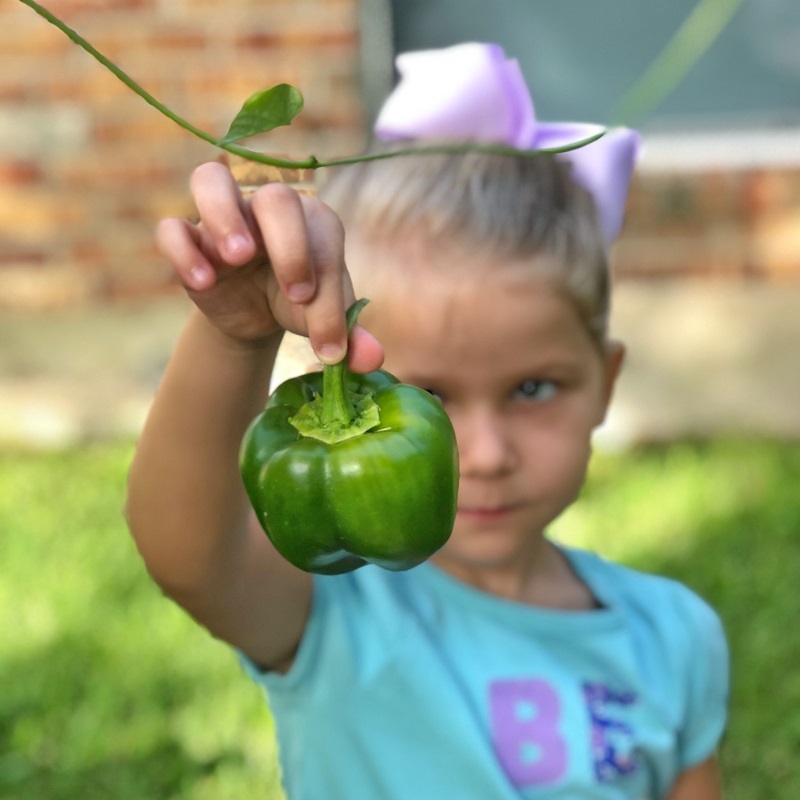 We look for worms, talk about how gardening works, and the girls get to use their hands and imaginations to "garden" even before the real seeds are in. I think for this Fall, we might let each of the girls have a garden bed all for themselves. With this, they will be allowed to pick the seeds, plant them, and til to "their" soil to their hearts content. We might not grow anything or it might be wildly successful. The point is, it will be theirs and I think their ownership of having a bed to tend to (while my husband and I work on the other three) would be so empowering to their little gardener's confidence. 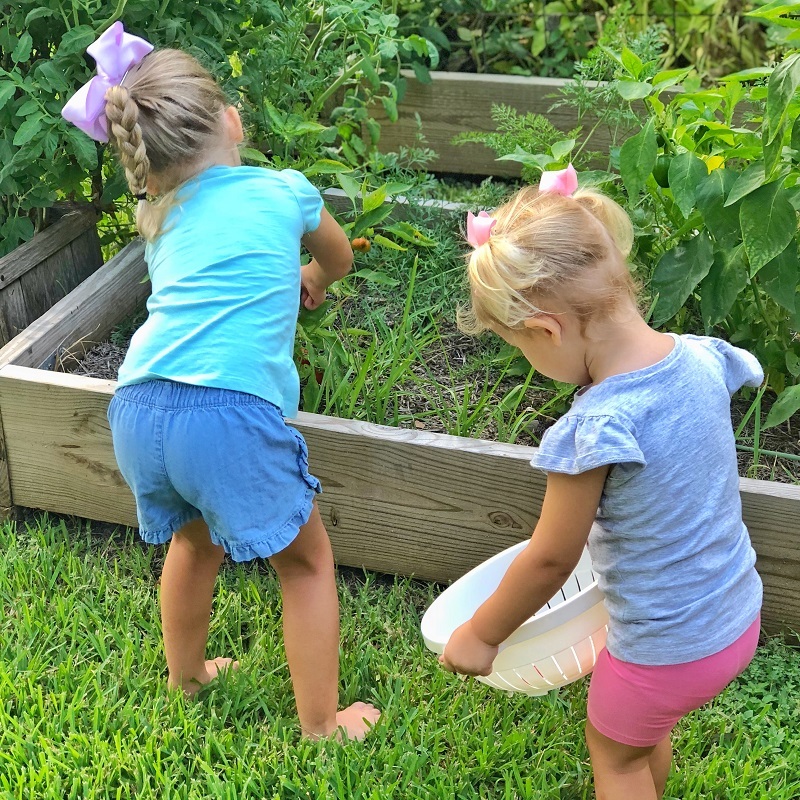 Although I am not too strict about anything they do to the garden as a whole, I am hoping this initial dirt free-play will spur on all the more desire for them to put on their little gloves, get their shovels, and garden as we move into Fall! I am honored to be a monthly contributor to Veggie Buds Club. Intended for children ages 3-6, Veggie Buds Club offers activities that empower kids to Learn + Cook + Play + Create + Grow with a monthly vegetable. Through fun, pressure-free ideas, Veggie Buds Club helps expose your child to a variety of vegetables in age-appropriate and engaging ways. If you are interested in checking out Veggie Buds Club for your family (or to gift a friend! ), I encourage you to hop on over today! Monthly registration closes at midnight on the first of the month, so be sure to sign up so you get this month's box - complete with a tip sheet featuring the advice I share below! Images from past month's Veggie Buds Club. As Summer comes to a close and we get into Fall foods and cooler temperatures, it is a great time to talk about a root vegetable with lots of nutrition: SWEET POTATOES! For many children as infants, sweet potatoes are an obvious first food that parents roast and serve as a puree or in soft, finger-like strips. As children get older though and begin to exert more opinion and independence around the foods they eat however, many kids shift away from sweet potatoes to preferring white potatoes in the form of french fries and tater tots. SHOP: Compare and contrast potato types. On an upcoming shopping trip, let your child help pick the potatoes. Encourage them to select a couple from each potato type or color category, as most stores will offer white Russets, yellow Yukons, Red roasters, orange sweets, and sometimes ever purple potatoes as well! This helps them to see there are lots of different potato types, not to mention sizes and shapes! CLEAN: Allow your children to scrub potatoes in the sink or a water table (like the one leftover from summer!). This helps to get them to touch the vegetable before it ever is offered on the table. TASTE: If your child is used to only white potatoes, consider comparing white with sweet potatoes in a taste test. Bake, roast, or mash both kinds and offer side by side. Talk about how they look, smell, and taste different and allow them to rate their preferences to either. 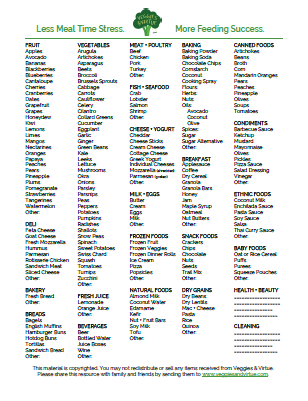 This helps kids to identify differences in foods with an inquisitive approach that emphasizes "learning to like" the attributes of a (potentially) new food instead of pressuring them to eat something that is still unfamiliar. CHAIN: Consider food chaining your child's preferred type of potatoes to include sweet potatoes! You can do this by making subtle shifts to offer sweet potatoes in the same same and preparation as the preferred potato, then gradually working to include sweet potatoes in other shapes or serving methods. COOK: Talk about ways you can cook each of the vegetables that you bought at the store: baked whole, roasted in cubes, sliced as fries, pureed for baked goods, mashed as a side, or in a hash at breakfast! Let your child sit with you to look through recipes and help plan which way you will prepare them for a given meal. This helps them empower their voice in meal time decisions while also piquing their curiosity around how potatoes can be offered. Remember to check out Veggie Buds Club before 12/midnight on the first of every month if you aren't already a subscriber. Then you can still order this month's box and veggie in time to participate! Want More Actionable Ideas on How to Turn Your Veggie Averse Kid Into A Gardener? Subscribe here for updates and early bird access anytime there is a new resource added and available!